If you have arrived at this web page after searching for a person, then you'll need to move down the page to where there is a list people. Rather than searching through it all, you can simpy press Ctrl-F, then type ONE word that you're looking for, and press enter/return. It will then jump to the word on the page (then press enter/return again to see others if present). Prayer was a vital part of the crossBeaTs' ministry, and we would always have a time of prayer before each meeting between the 5 of us. More important than this, of course, was the band of praying people who supported the work of the group. The following list of 300 prayer partners contains the names and part addresses of individuals when they first registered, or made a request to be put on the crossBeaTs (or Seekers) prayer list. They became involved after discussion at meetings as the group played in churches, clubs, coffee bars and colleges. Many wrote afterwards saying how the songs had helped them, and asking to be added to the list (see below - after the list). The idea of a prayer letter was suggested by Lorna Moffatt and Ann Oddie (later Ann Orman) who worked hard to set the thing up, and were the first prayer secretaries. Although this list is complete in terms of our records, it is known that many other people (see below) prayed regularly for the work of this and other groups. In compiling this list, changes of marital status or address, which we may have been notified of later, have been ignored, and the original information only is given below. The list will include the names of some who, in receiving the prayer letters, simply wanted to be kept in touch (eg Buzz and Challenge magazines - so they could put news items about groups in their columns). It will also contain the names of some people who perhaps had no intention of praying, and even those who subsequently lost their faith. A large proportion, however, were committed praying partners, and their dedication to the ministry of prayer was far more important in the Kingdom of God than that of those who lugged equipment round, played guitars and sang. The list is in 'roughly' alphabetical order and dates back to 1964, though some of the prayer partners joined much later. I have since heard of other people (not on this list) who prayed for the work of the crossBeaTs. One such group were the the young people from Urmston Gospel Hall, Manchester (later Urmston Evangelical Church). Irene Lee was a friend of Lorna Moffatt (above) and was one of the Urmston people, along with Alan Taylor, who prayed regularly for the work of the group. These youngsters also, through their connection with Val Grieve, prayed for and worked at the Catacombs coffee bar in Manchester. This letter was received in 1969 from someone in Warrington wanting to be added to the prayer letter list. 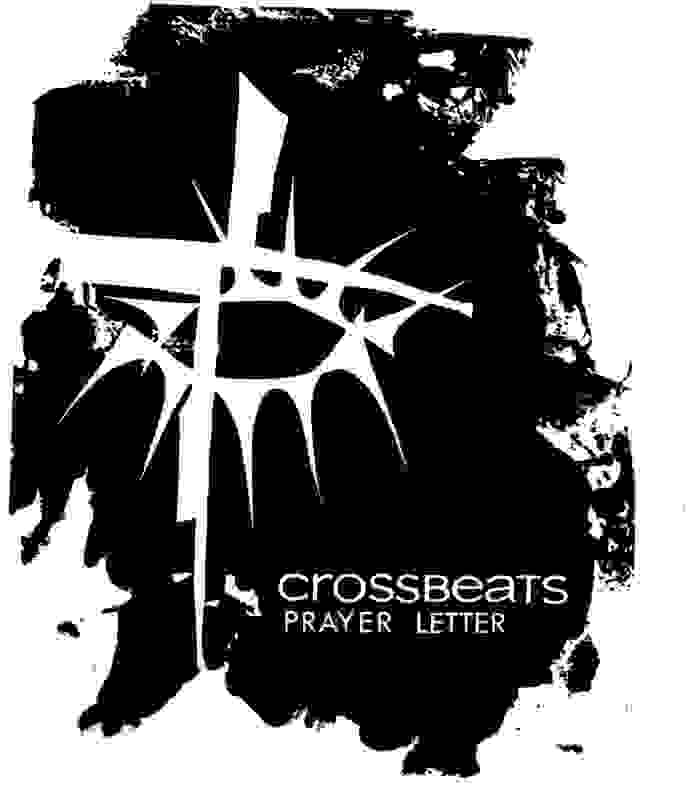 I would very much like to join the prayer group to help the "Crossbeats" with their work. They came to sing for us on Friday evening at Great Sankey, Warrington, and they were really good. I had never heard the gospel put over in this way before, and nobody has brought it more alive and more meaningful to me than they did. When I was talking to Tony, he asked me if I would like to become a member of the prayer group where you receive a news and prayer letter and pray for the group in their work, and he told me to write to you. It must be very helpful for them to know that many people, even though they may never meet them, are backing them up by asking God to guide and help them to bring more and more people to Jesus. I sincerely hope that I will be able to help the group in this way, and so I look forward to joining the prayer group. I felt that I really must write and thank you for speaking to my friend on Saturday night. She has never heard the Gospel preached before, and I was so glad when I persuaded her to come to the meeting. She enjoyed it very much, and is eager to come again. I do pray that she will accept Christ as her Saviour, and thank you for the wonderful witness you gave last night which has resulted in her now serious approach to Christianity and why we must be saved. I just can't put into words the joy I have experienced during the past two years having known Christ personally as my Saviour. He has lead me to nursing and really helps me day by day - I know I could never live without Him now. I needed a friend whom I could trust and lean on each minute of the day as I have had an unstable family background, but I can truthfully say that Jesus has been my all in all, and always will be.